Check out our Heartland windows reviews from consumers and contractors on this window manufacturer, their products, pricing and more. I can’t fault Heartland Windows. They offer superior customer service, they are heavier than many of the other windows on the market and they use the latest technology hardware. SoftLite on the other hand is a basic window in my opinion and perfect if you’re looking for a budget window. Simonton do manufacture good quality windows but you need to ensure you choose the right series to get the quality you are paying for. What do other people think? I have worked with Heartland for five years and have installed hundreds of their windows. The 712 Series is a good choice. These are made from the highest quality vinyl and the air leakage test comes in at an impressive .07. The Intercept has a downside, they are only available in a double hung with a pocket sill. In many cases these leak, which is unfortunate. 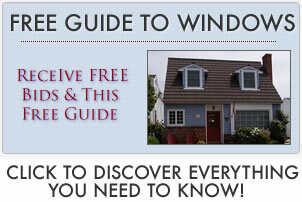 Their bow and casement windows are great, they are visually appealing and look really sturdy. One of the series, made in Aplington uses a Mikron extrusion with cable support. Over the years I have only had one or two problems with these particular windows and both times they were replaced quickly and without fuss. Simonton is always a good choice, while they may not be the highest grade, they are a name you can trust in the middle range bracket. SoftLite have recently been upgraded and appear to have some of the best performance numbers available right now.